Camso, formerly Camoplast Solideal, announced a new aftermarket solution for Powersports enthusiasts looking to convert their off-road motorcycle, or dirt bike, to a track and ski vehicle. “Tracks and tracks systems are in our DNA,” says Bruce Dashnaw, Sales & Marketing Director - Powersports at Camso. “The snow bike niche is new and very exciting. 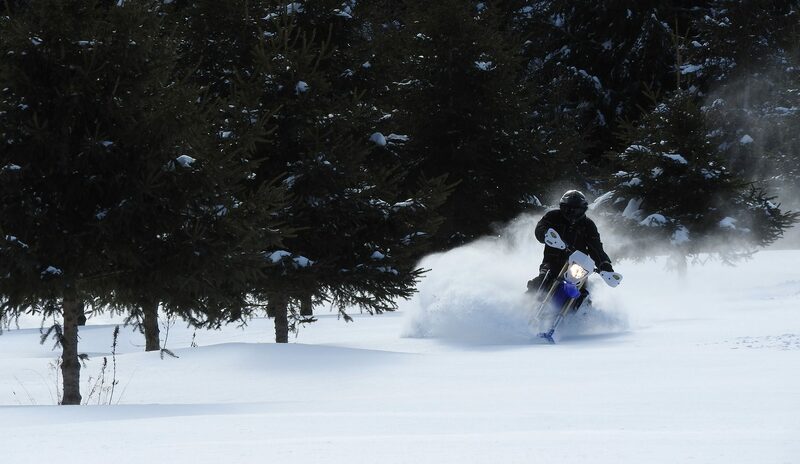 We're enthusiastic to become part of a select group of manufacturers that offers this product and to generate interest in this new type of recreational riding,” adds Dashnaw. Adding a new product to its aftermarket offering is a natural step for Camso, which is known for its ability to deliver unique, client-tailored products and services across different niches and channels. The new Camso dirt-to-snow bike conversion system is a universal conversion kit. Fitted with Camso's high-performance track, it promises to be one of the lightest systems on the market, combining motocross agility and snowmobile performance. The new Camso dirt-to-snow bike conversion system will be available to consumers this fall through its established network of thousands of powersport dealers worldwide.